*Disclosure: Cross Sound Ferry extended an invitation for me and a guest to fully experience a tour of the North Fork of Long Island. They graciously provided transportation via their ferries and a rented shuttle to deliver us to Long Island and back to port. We visited a handful of North Fork businesses and enjoyed a complementary lunch as part of this trip. 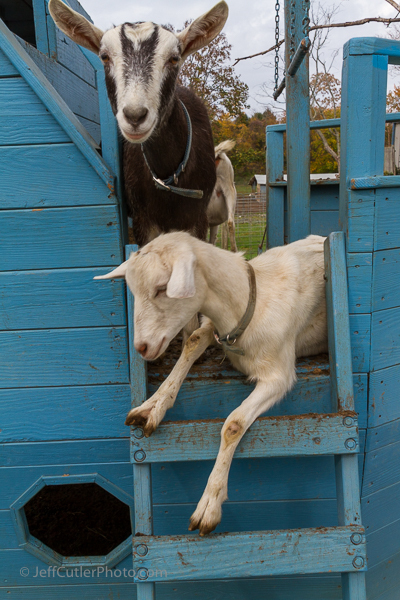 A friend of mine asked me the other day – right after I sent out some goat and wine photos (see below) – if I could find a place for him and his bride to have an adventure close to Boston. Friend looking for Boston area stuff to do — when Long Island is a mere 117 minutes away. I said that short of reposting the information about the Cross Sound Ferry and the various places to visit in Long Island New York, I probably couldn’t help him. Since I had recently been a guest of Cross Sound to tour the North Fork, I was properly armed to discuss leisure activities within a reasonable distance of Boston – but his hybrid car presumably has a limited range and therefore was worried that New London, CT and Long Island, NY were too far for him to drive and still be able to get home. That’s clearly not the case. I believe people have a skewed perception of distance here in New England and that keeps many from exploring the stuff I got to see on that visit. For the most part, lots of people believe that Rhode Island, CT and Long Island, NY are days away from Boston. I’m thankful that the fine folks at the Cross Sound Ferry were able to prove that theory wrong. In fact, my wife and I timed the journey from our home near Boston to our final destinations on the North Fork of Long Island. It took us less time to get there than it would have to visit Provincetown, Springfield, MA, Mt. Snow, VT or even Portland, ME. Face it, Connecticut is about an hour away by car and then Long Island is a 40-minute fast ferry ride across the sound. By my math, that puts me in wine, cheese, B&B and historic nirvana in less than two hours. But enough travel logistics…let me tell you – or better still show you – what we found when we arrived! Do yourself a favor and read the captions – they will help you understand what you’re looking at. Photos are not in a strict order. All photos were taken the day of our visit. If you’d like to purchase rights to an image or would like to get a print made, please use the CONTACT form here on the blog. 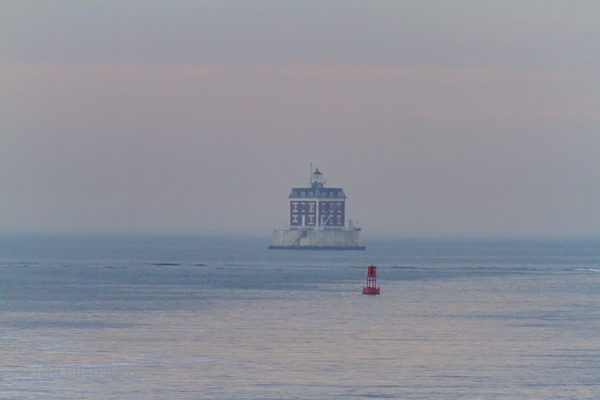 One of the many lighthouses in Long Island Sound. Many – and even more next year – are visible on the Cross Sound Ferry Lighthouse Cruise. 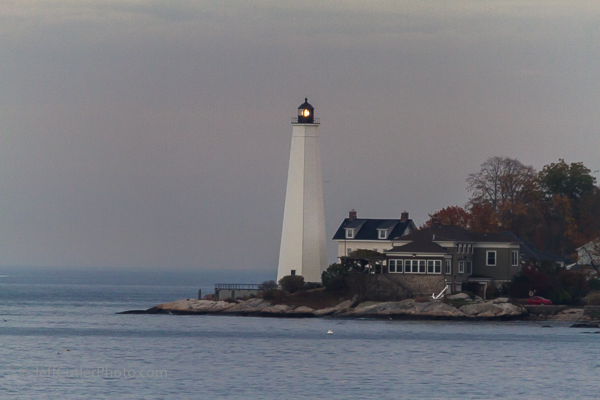 Guiding our way back to port after a day on Long Island Sound – the North Fork. The vines at Pellegrini Winery on the North Fork of Long Island. 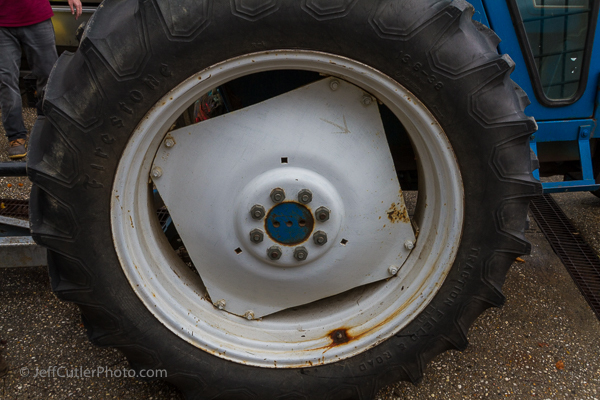 Tractor tire at Pellegrini Winery. They have to move a lot of grapes – hence the tractor. 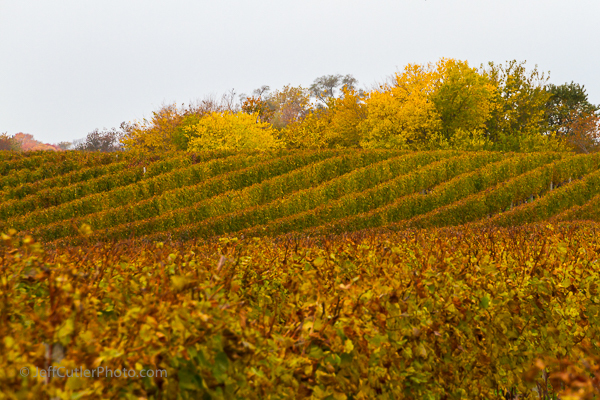 Another cool photo of the vineyard at Pellegrini. A bunch of barrels used to age wine at Pellegrini Winery. 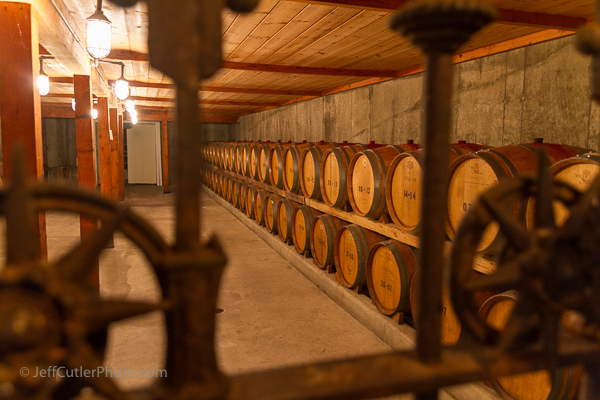 More barrels used to age wine at Pellegrini Winery. 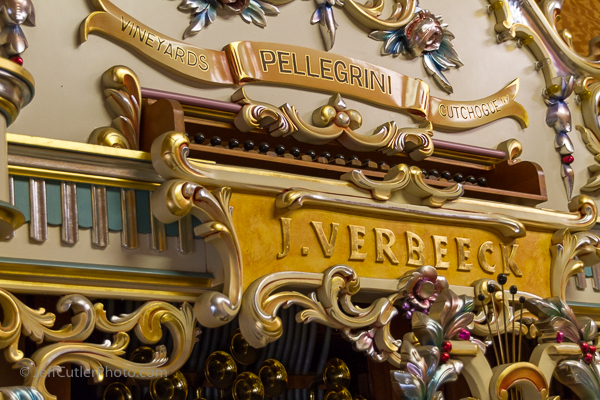 A player-piano-style organ that was built piece by piece at the Pellegrini Winery by the owner years ago. Amazing. 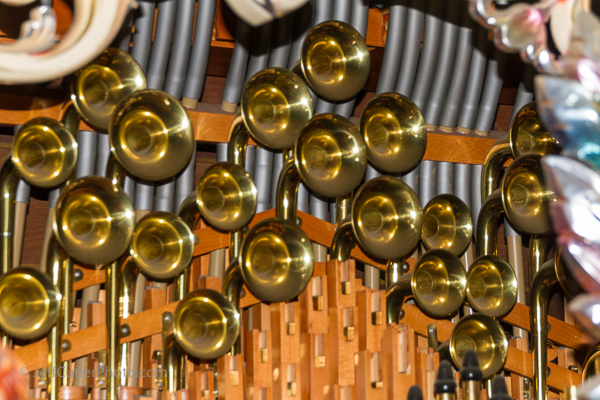 The multiple sound features of the player organ. 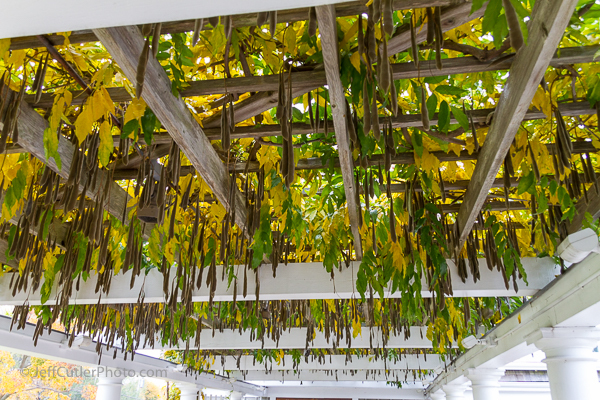 Beans hanging from the trellis at Pellegrini. 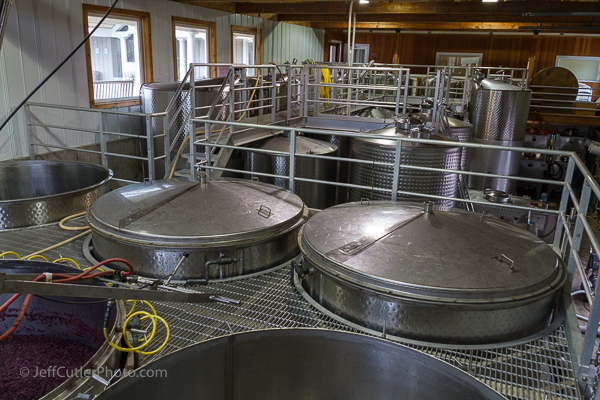 Stainless steel barrels for starting the process of handcrafted wine. 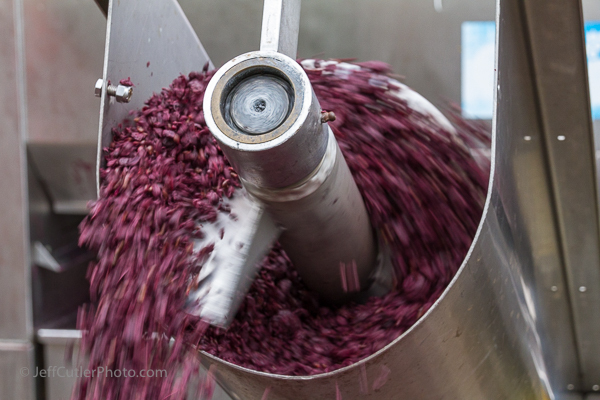 My favorite winery photo. Pellegrini Winery on the North Fork of Long Island, NY. 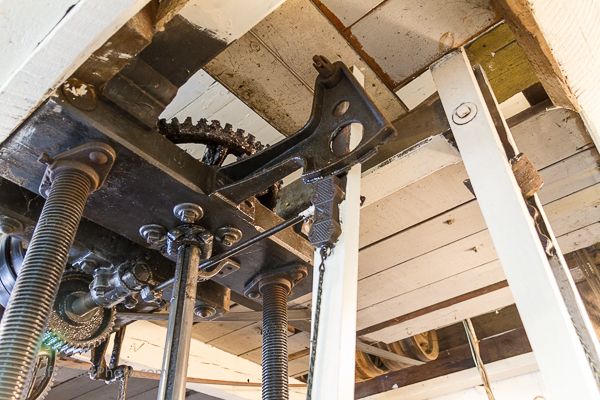 Apple cider press – about 1/2 manual and half automated – at Wickham’s Farm on Long Island. 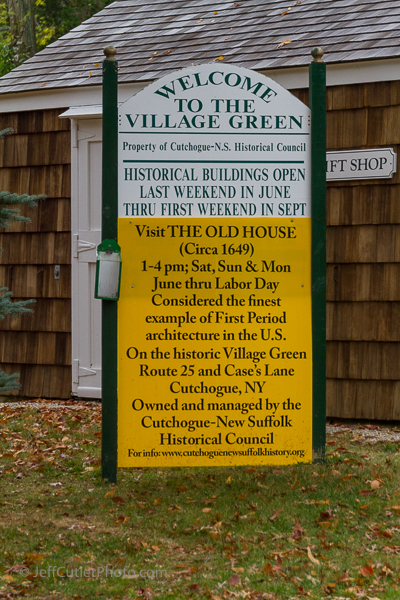 A sign noting the history of local landmarks and buildings in Cutchogue on the North Fork of Long Island. 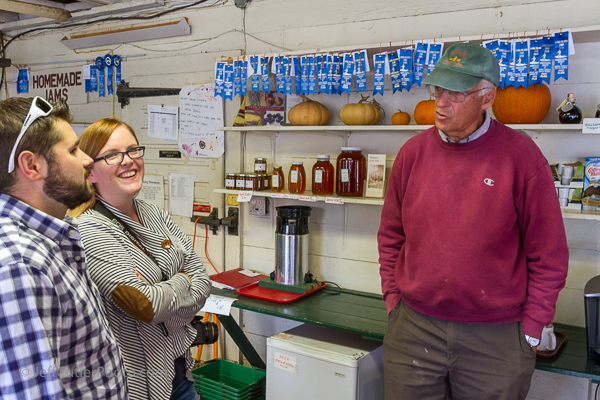 Mr. Wickham of Wickham’s Fruit Farm discussing farming with other guests on our tour. 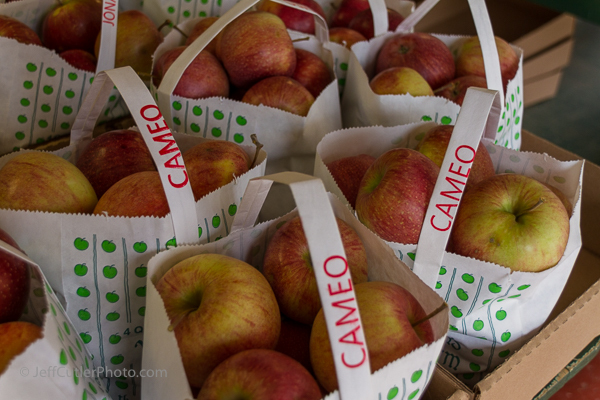 Cameo apples making a cameo. 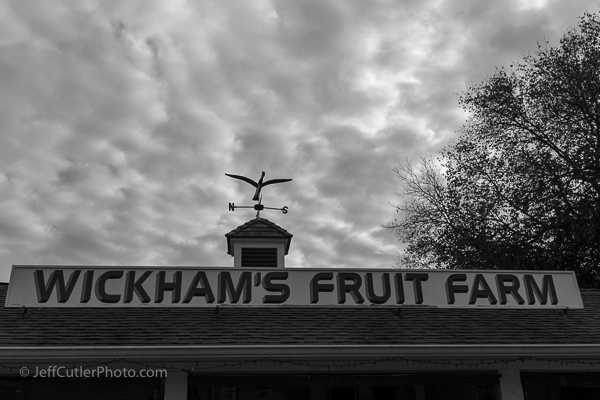 The Wickham’s Farm fruit stand. 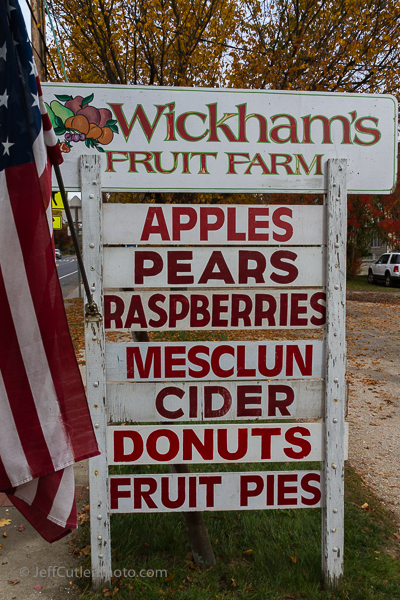 Wickham’s carries lots of different fruit varieties. 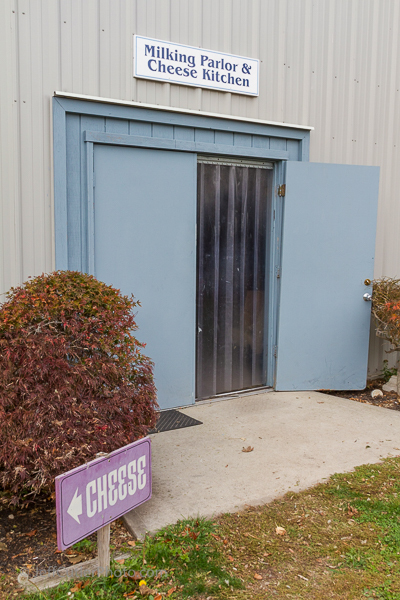 The cheese kitchen at Catapano Dairy Farm. 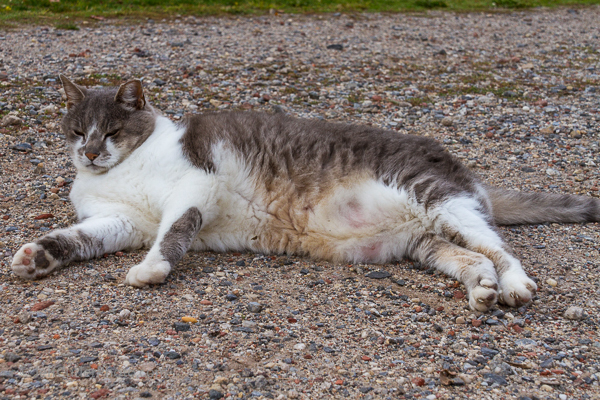 Guard cat at Catapano Dairy Farm. Actually one of the friendliest barn cats I’ve ever met. Rumor has it the cat gets along with the goats, too. 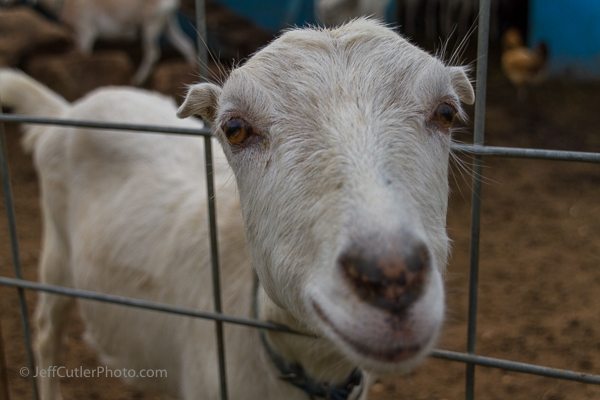 If I were a wagering man, I would wager that this goat is neither happy nor sad about sharing its milk with Catapano Dairy Farm so they can make cheese and health & beauty items. What do you bet? 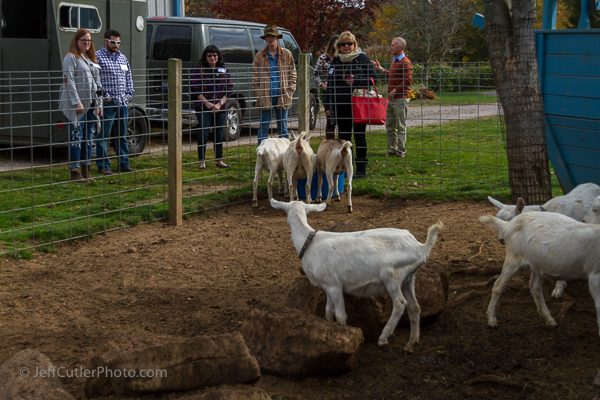 There were many goats at Catapano Dairy Farm. 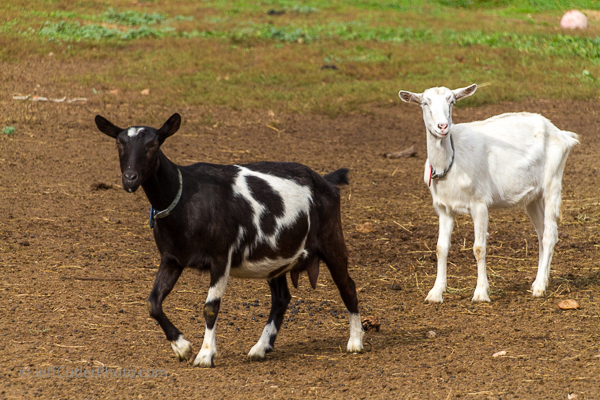 These two were a couple of the dozen I saw in a side pen away from the goats on a boat. Not a goat. More photos are up at http://flickr.com/jeffcutler Enjoy! All the guests, our driver and representative of Catapano Dairy Farm. Looking at goats while the goats looked at them. Don’t fret. 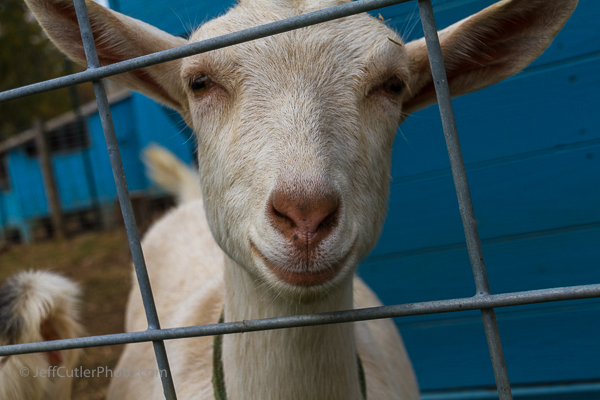 This goat’s ears were NOT mauled, maimed or mangled. They grow this way, we were told. It likely doesn’t affect the taste of the cheese or the effectiveness of the beauty products. 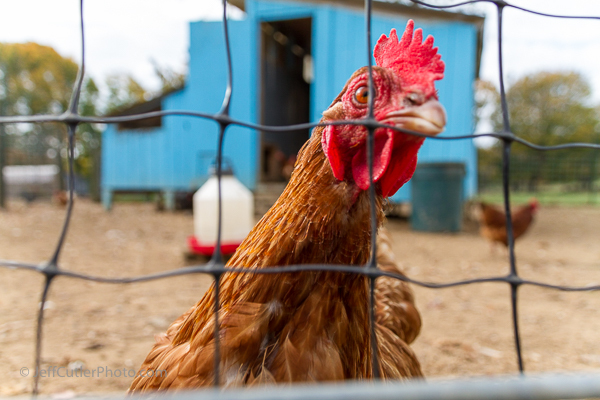 The hen mother. Or den mother. Or Rooster in charge. 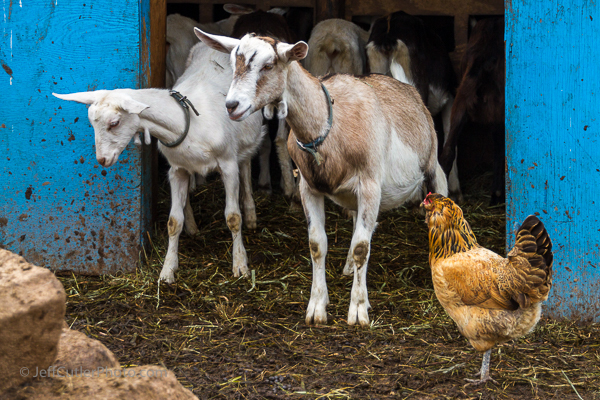 It seemed as if the goats listened to this feathered fellow. Rule of thumb and finger and anything valuable. 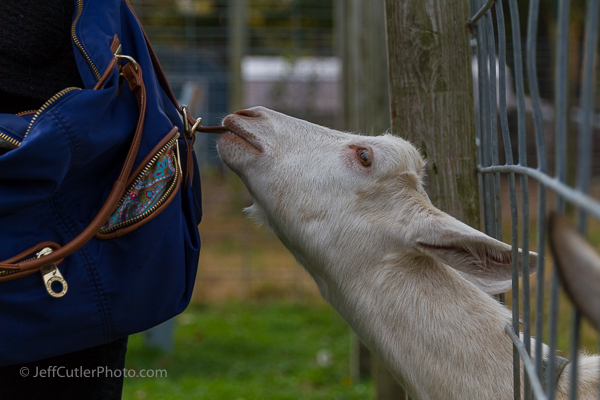 Don’t put it in range of a goat’s mouth. The trip on which we were guests took place in early November. 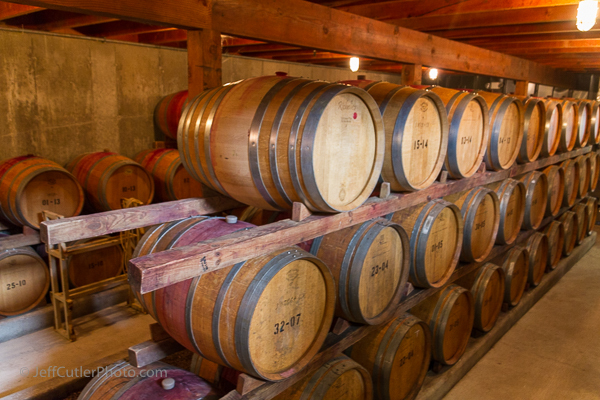 But trips to the North Fork wineries and other areas of interest take place regularly, year-round, weather permitting. Lots of people commute via the ferry, so there are seldom times when it doesn’t run. The cat at Catapano Dairy Farm. Getting some well-deserved attention. 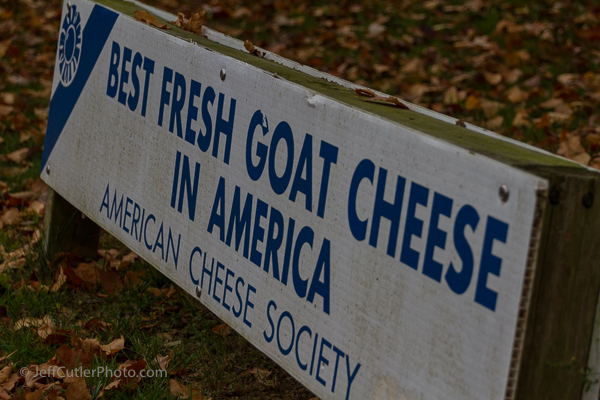 Who would turn down a spot in the American Cheese Society? I wouldn’t. I would see if I could get a goat cheese of the month delivered. 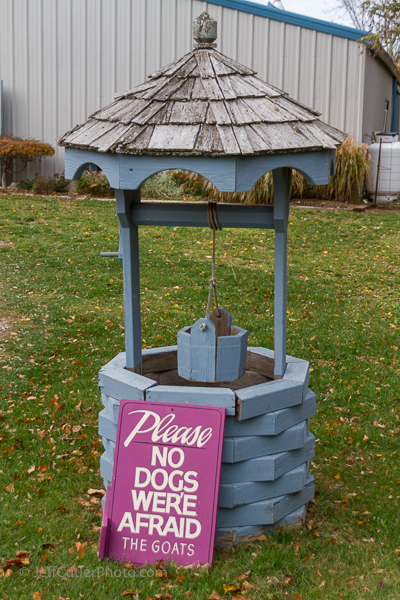 Wishing well at Catapano Dairy Farm. Our trip began at about 8:30AM at the Cross Sound Ferry terminal and we got back to New London, CT at a little past 4PM. 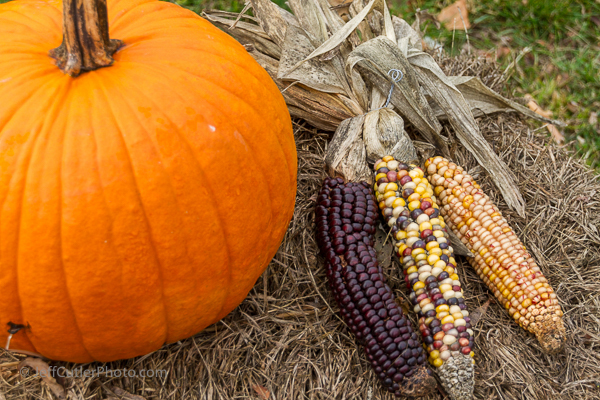 It was a great day and a fun way to start off the month in which many people give thanks for many things in their life. 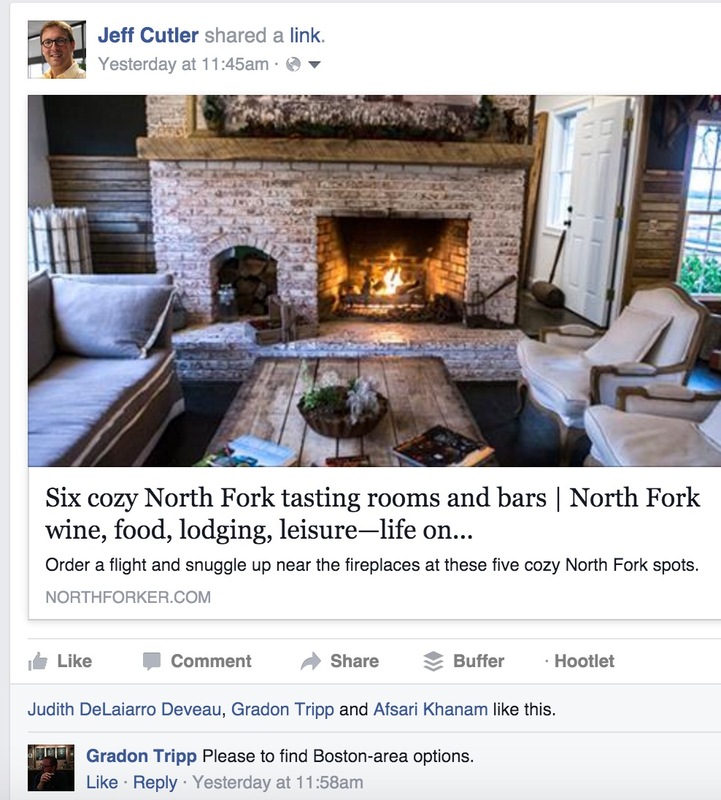 I give thanks that I was invited on this tour and that the North Fork is so close. I plan to go back soon! THE CROSS SOUND FERRY FROM NEW LONDON TAKES THE HASSLE OUT OF TRAVELING TO LONG ISLAND WINE COUNTRY. Bostonians travelling to Long Island no longer have to spend up to 9 hours navigating some of the nation’s worst traffic. Cross Sound Ferry in New London, Connecticut gets you to Long Island in 40 minutes—without ever having to consult your GPS. You get off I-95 before the tie-ups begin in New Haven, cruise across the water on one of 8 luxurious ferries and disembark on the less crowded Suffolk County end of the island, refreshed and ready to go. Traffic jams, antsy kids, service station pit stops and state troopers will be distant memories. Just 2 hours by automobile from Boston, Cross Sound Ferry is your gateway to one of the nation’s great wine making regions. 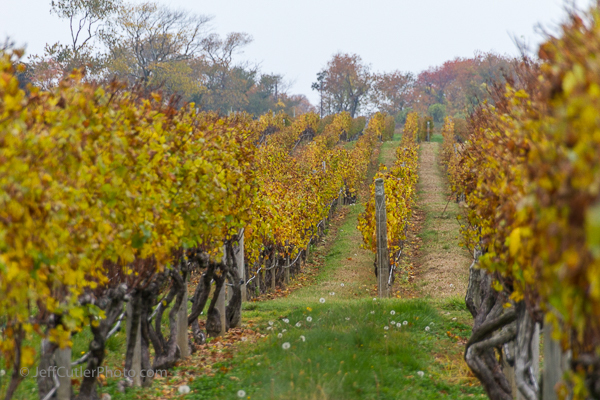 In 2013, Wine Enthusiast Magazine ranked the North and South Forks of Long Island as one of the ‘10 Best Wine Travel Destinations’ alongside Puglia, Italy, Rioja, Spain, and Monterey County, California. New York wines have never been hotter (48 Empire State wines were rated 90 or above by Wine Enthusiast, Wine Spectator, and Wine & Spirits magazines last year) and Long Island wines are among the hottest. The North and South Forks is the perfect getaway for urban New Englanders, featuring beautiful B&B’s, boutique hotels, great restaurants, lovely beaches and a vibrant farm economy. The region boasts over 60 vineyards. More than 30 wineries open their doors to visitors with tours and tastings. The East End of Long Island is like Napa Valley—minus the 6-hour plane flight—a one-of-a-kind, picturesque setting for a romantic weekend, fun family trip or much needed vacation, welcoming tourists of all ages. Cross Sound Ferry can connect you with many popular family attractions and other interesting destinations. The New London terminal is conveniently located near major interstate highways and Amtrak. On Long Island, the terminal is eight miles from the Long Island Rail Road station with connections to New York City. 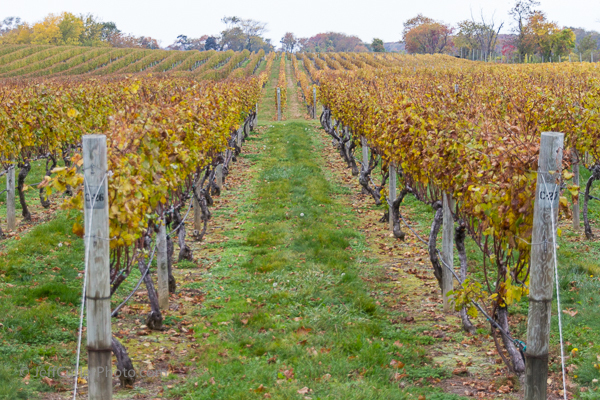 Long Island Wine Country has been one of the Northeast’s best-kept secrets. Now a 40-minute Cross Sound Ferry ride opens the area up to all New Englanders. Sometimes, there’s magic to be found in your own backyard. 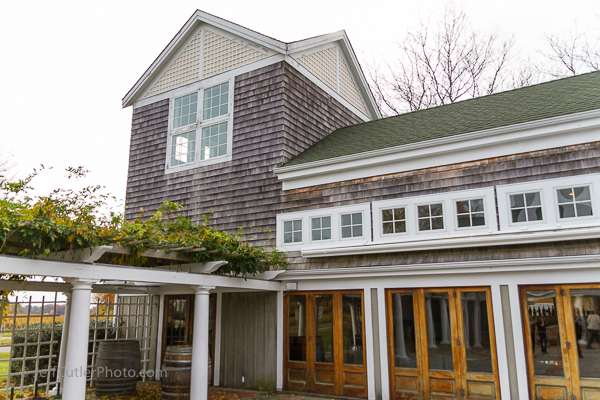 With a reported 60+ vineyards on Long Island’s North Fork, it’s one place I hope to visit again soon. You can find more wine on Long Island info here and you can read my friend Sarah’s blog post on her visit right here. What trip(s) or adventures are on your bucket list? Please share in the comments.